The Parkview condominium is located at 6500 Montevideo Road in Mississauga's Meadowvale neighbourhood. This is low rise condominium with one, two and three bedroom suites. 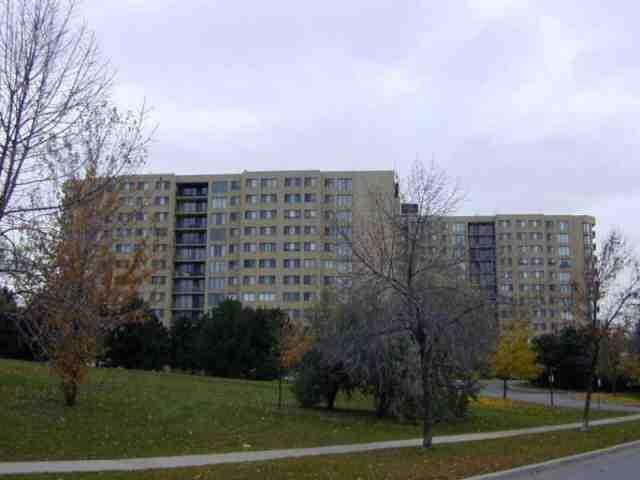 This condominium is backing onto Lake Aquitaine Park so some suites have very nice view. Suites have good size bedrooms, dinning room and "sunk" living room with exit to balcony. Many suites are sold with two parking spaces. This condominium offers basic amenities such as exercise room. Condo fees include water, hydro, gas, central air, maintenance of common elements. TV is extra.